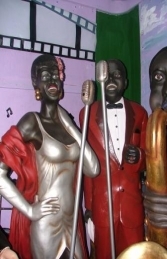 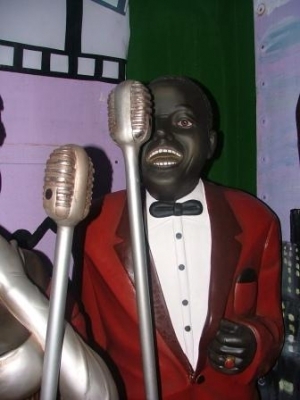 Bearing a stong resemblance to the legendary singer and musician Louis Armstrong this statute is full of detail and ideal to use with our Lady Jazz Singer (JR 285) to create a great jazz club atmosphere. 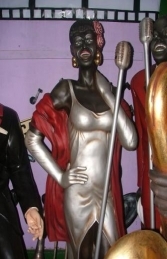 This model is available in a siver or red suit. The figure comes with the microphone and in his hand he holds a trademark trumpet and handkerchief.